Made from 1.5 mm neoprene, this green Deerhunter Neoprene Cartridge Belt is adjustable which makes this belt perfect to go around waders and bulky shooting jackets. This quality belt holds 25 12g & 16g cartridges secure and watertight. Our vision is to develop and manufacture clothing for modern hunters and outdoor individualists for whom freedom of movement and high-technical quality is of vital importance. F. Engel has grown every year for the past twenty five years and successively added to its collections. 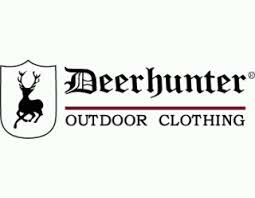 Today Deerhunter® offers a comprehensive range of clothing for hunting and outdoor pursuits. The Deerhunter® concept has stood the test of time. Deerhunter® is now represented in more than 30 countries across the world, and has earned a solid reputation as the brand of choice when it comes to comfortable and functional high-quality, high-technological clothing. The original Deerhunter® concept remainsunchanged – Deerhunter® is a brand that always makes customers feel that they are getting good value for money. Deerhunter® was in 2009 appointed as purveyor to Her Majesty and the Royal Danish Court – a title of which we are very proud.